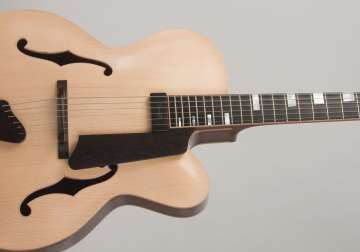 This 17″archtop has an Engleman Spruce top and African Mahogany back, sides and neck. 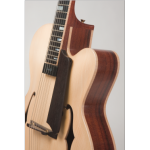 It has an Ebony fretboard with the signature Letain inlay and Ebony headstock veneer. The machine heads are Shaller minis with ebony buttons. 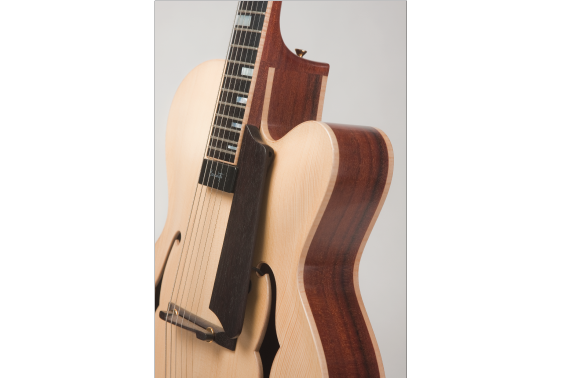 The tailpiece, finger rest, bridge and trussrod cover plate are all made of wenge. It has a floating pick-up with a subtle thumb wheel volume control.